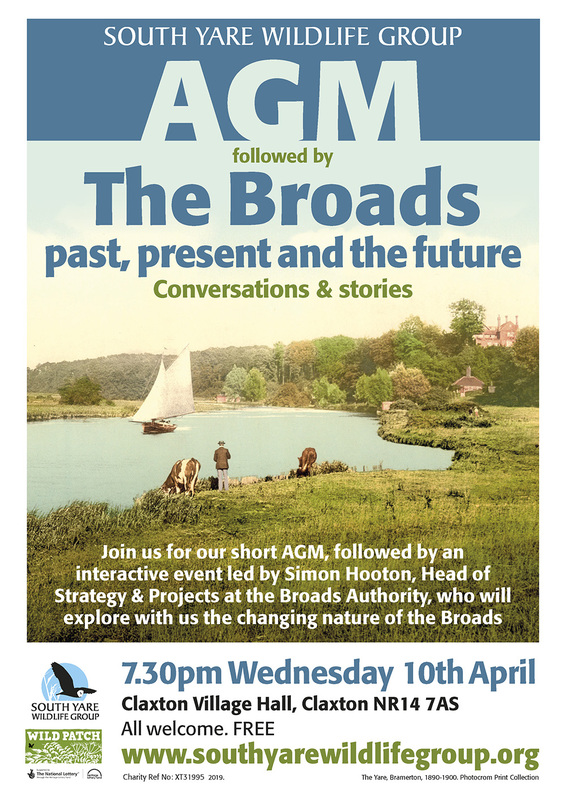 Join the South Yare Wildlife Group for their AGM followed by a Simon Hooton, Head of Strategy & Projects at the Broads Authority who will facilitate an interactive event “The Broads: Past, Present and Future – conversations and stories”. 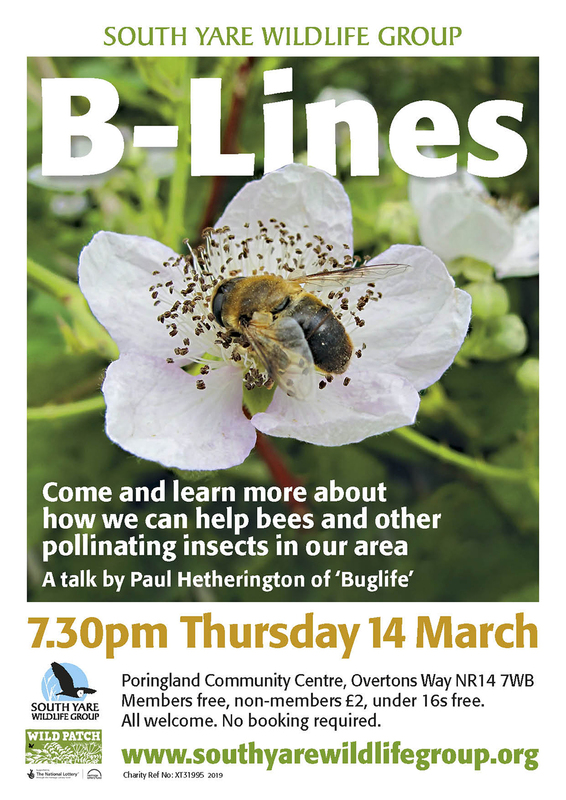 Join the South Yare Wildlife Group for a fascinating evening talk by Paul Hetherington of Buglife on how we can help our bees and other pollinating insects by setting up pollinator corridors (B-Lines) in our countryside. 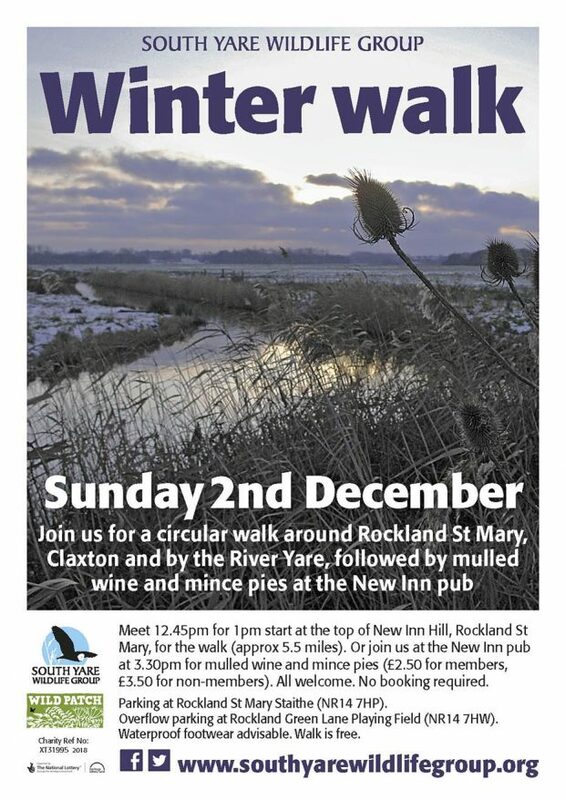 Cost: Non-members £2; members free. 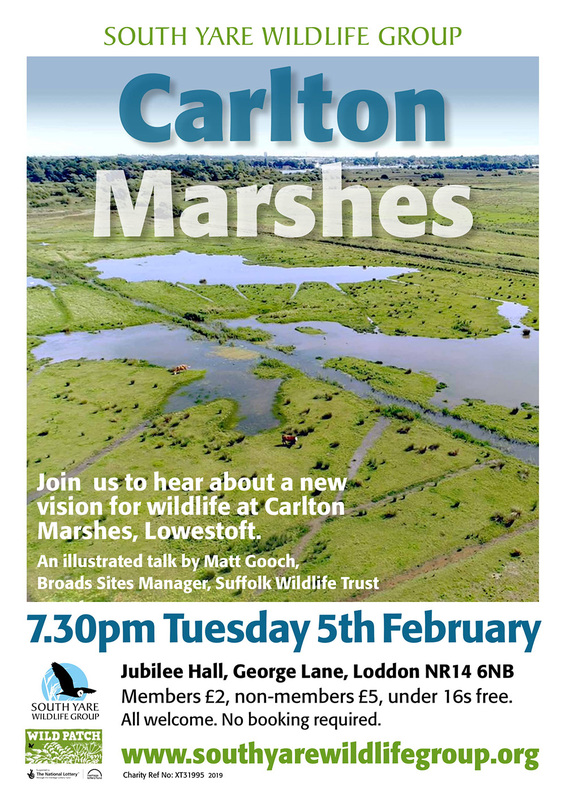 Join the South Yare Wildlife Group to hear about – A new vision for wildlife at Carlton Marshes – an illustrated talk by Matt Gooch, Broads Sites Manager, Suffolk Wildlife Trust. 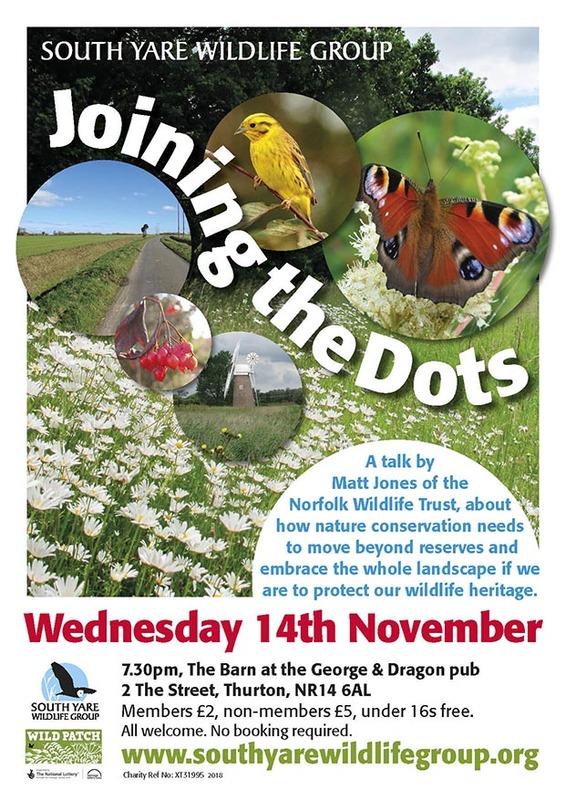 Meet at the Jubilee Hall, George Lane, Loddon, NR14 6NB. 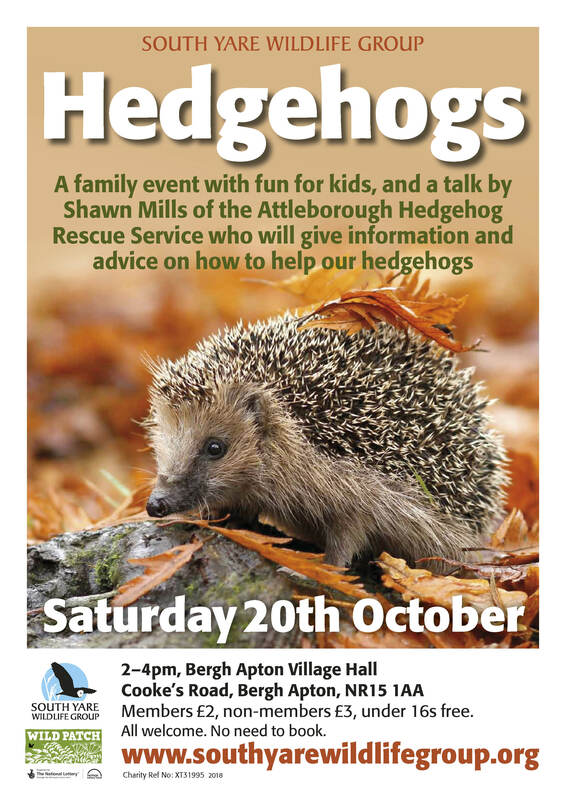 Hedgehog Event with Shawn Mills of the Attleborough Rescue Service. 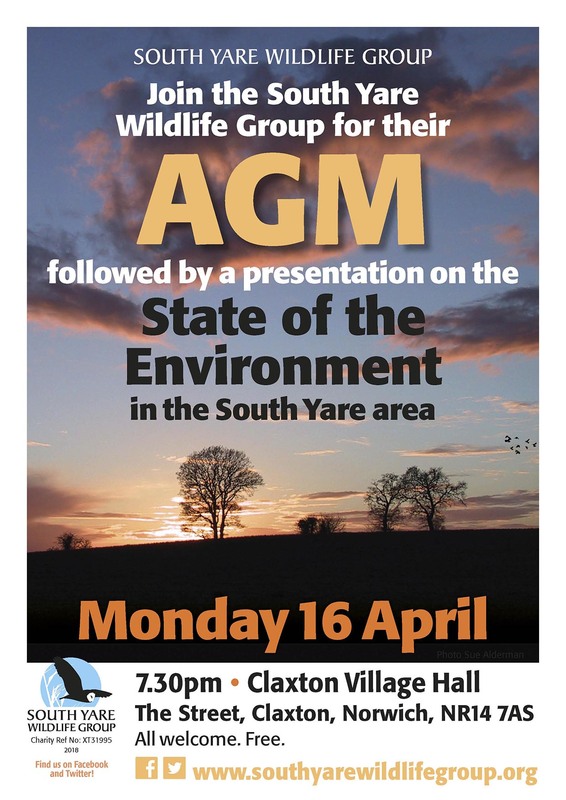 Bergh Apton Village Hall, Cookes Road, Bergh Apton, 2-4pm. Non-members £3, members £2. Under 16’s free. No booking required. 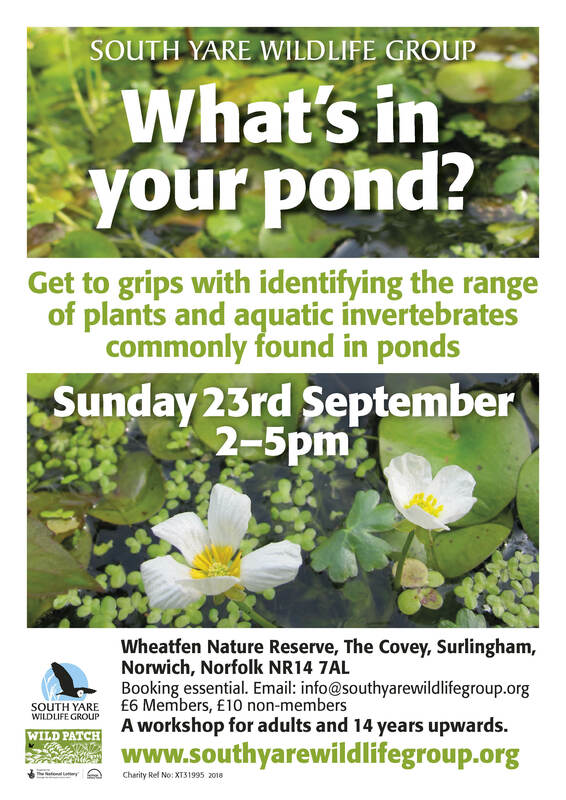 Get to grips with identifying the range of plants and aquatic invertebrates commonly found in ponds. A workshop for adults and 14 years upwards. 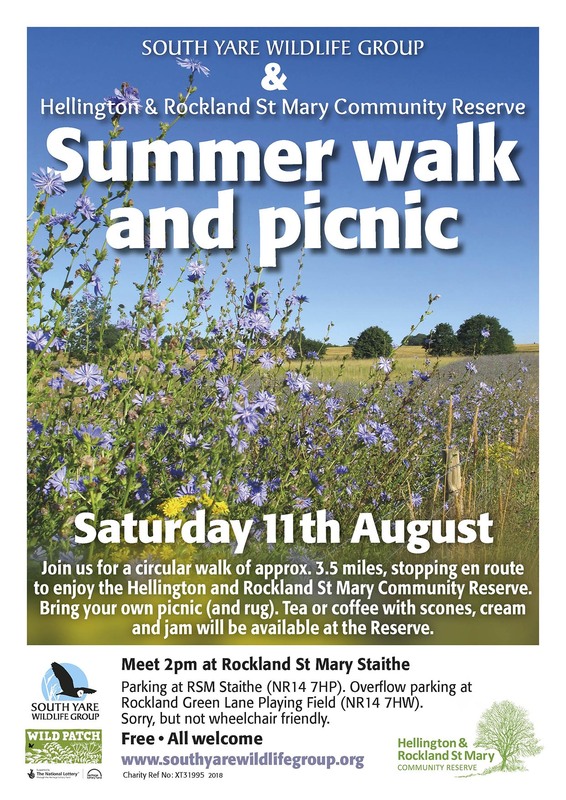 Lots of fun and community activities – the SYWG team will be there from 11 til 4 – come on and say hi! 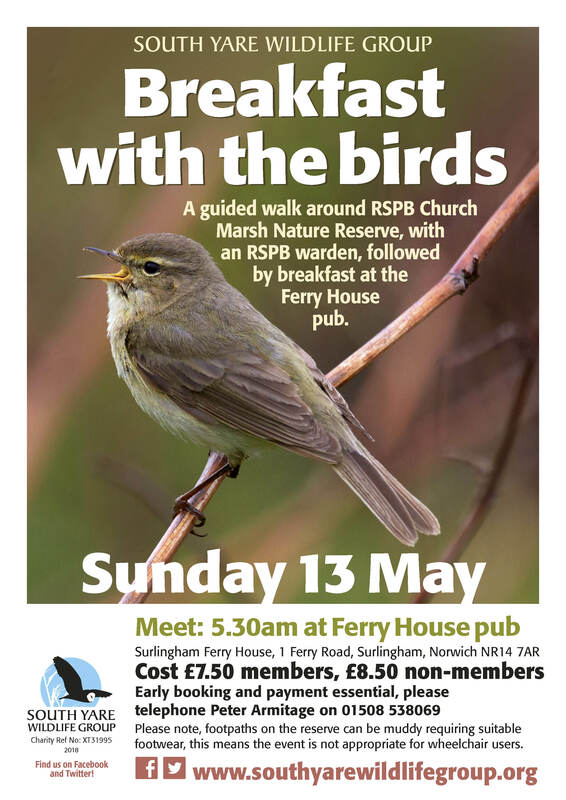 A guided walk around RSPB Church Marsh Nature Reserve, with an RSPB warden, followed by breakfast at the Ferry House pub. 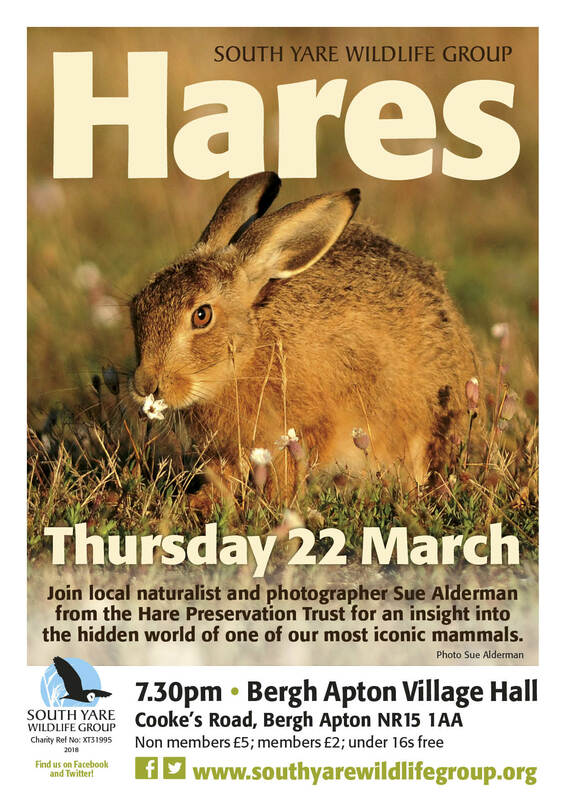 Join local naturalist and photographer Sue Alderman from the Hare Preservation Trust for an insight into the hidden world of one of our most iconic mammals. Non-members £5; members £2; under 16s free. 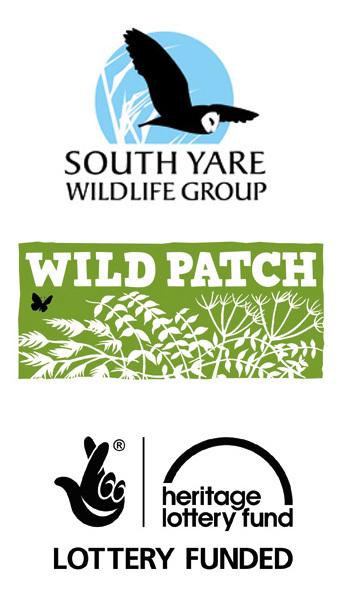 Wildlife Icons of the Yare Valley.